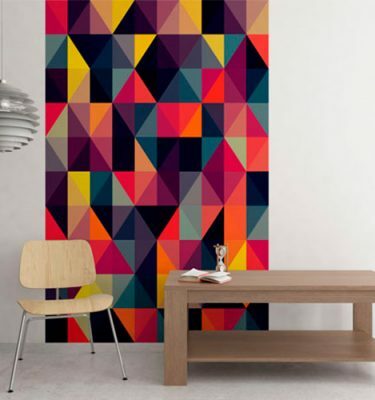 Wall Paper Decal Milani bring bursts of pattern into standard home and office spaces in a whole new way. With Pattern Wall graphics and wall papers, you can create an accent over a bed, on an interior door or frame a small section of a wall. The tiles are self-adhesive and can be installed easily . They are completely customizeble and can be cut, crafted, and arranged in a number of ways. Rotate them, combine patterns and use on any smooth flat surface.